Shenseea and Jada Kingdom are now beefing and here is why. 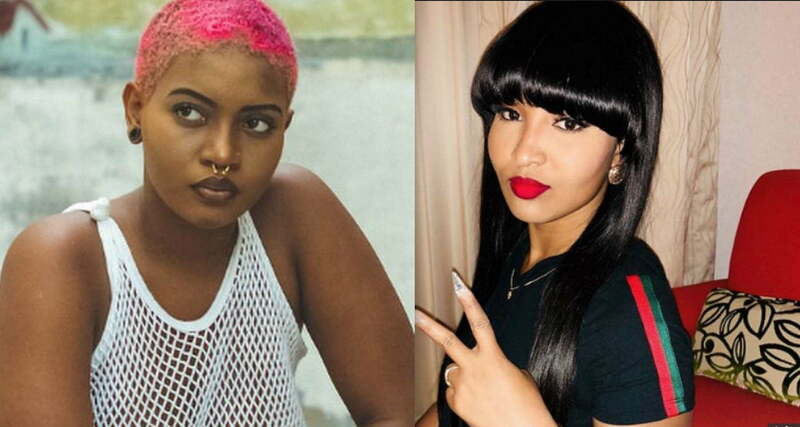 Last week, Shenseea clapback at a fan who left a rude comment on her Instagram page and it turns out that the fan is a cousin of Jada Kingdom. “Come Shenseea come mek @dejahhairstylist do your hair,” the fan wrote. 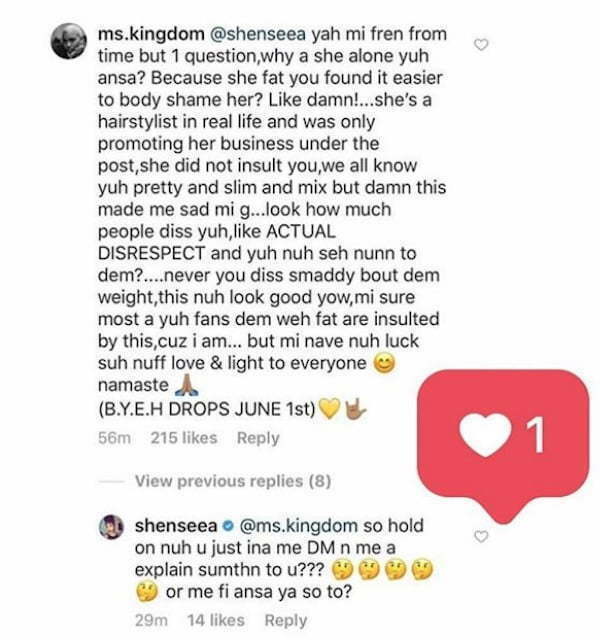 Seems Miss Kingdom didn’t like how Shenseea handled her cousin calling her fat. 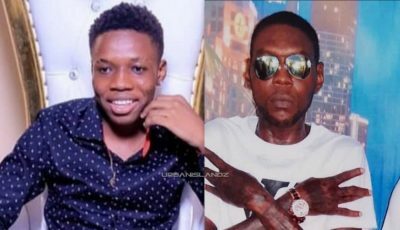 promoting her business under the post, she did not insult you, we all know yuh pretty and slim and mix but damn this made me sad mi g… look how much people diss yuh,like ACTUAL DISRESPECT and yuh nuh seh nunn to dem?…. never you diss smaddy bout dem weight,this nuh look good yow,” Jada Kingdom wrote. 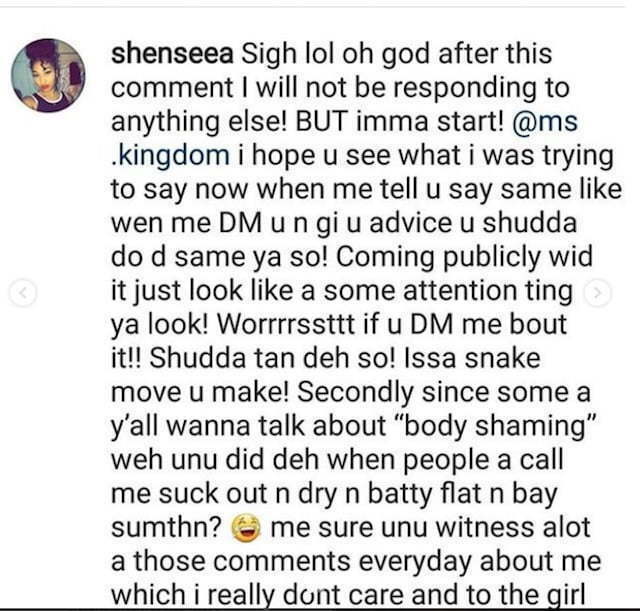 Shenseea responded saying that Kingdom is simply looking for attention that’s why she took up the issue in her comments rather than sending her a direct message.